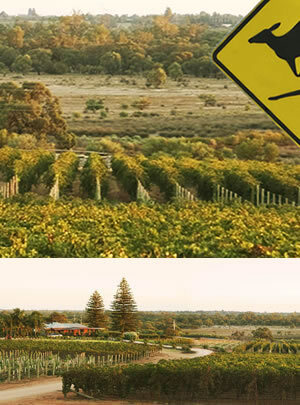 The Murray-Darling wine region has long been at the very heart of Australia's fruit growing industry. The Tall Poppy vineyards are situated in Dareton, New South Wales and Robinvale, Victoria close to Australia's largest river - The Murray, and part of the Murray Darling wine region. The potential of the area for vines was recognized as early as 1886 when George Chaffey, a pioneer from California, introduced the first irrigation systems. Since that time the region has become a byword for progressive water provision techniques and innovative viticultural practices. supplied to a person under the age of 18 years.